There’s something so wonderful about the colors orange and navy blue together. Don’t you think? The combination creates a spark of fun yet remains elegant and timeless at once. Although Michaela and Patrick live in Boston, they decided to wed at the Presidio of San Francisco with the Golden Gate Bridge in the background where they could create an easy, unfussy day with pops of color, gorgeous florals by La Fleuriste and touches of vintage details featuring the old San Francisco they adore. And thank heavens Megan Reeves Photography was on hand to capture all these beautiful moments elegantly organized by Cassy Rose Events. My initial consultation with Michaela and Pat took place via skype, since they live in Boston but were planning a San Francisco wedding. I was immediately hooked on them due to their easy-going nature, sharp wit, and evident mutual admiration for one another. From the beginning, Michaela and Pat were adamant that they didn’t want a stuffy affair. They wanted a fun, easy day with pops of color and a nod to old San Francisco vintage style. From a design and color perspective, Michaela was drawn to the outdoors, sunsets, and the beach. Because San Francisco weather can be a major factor in November, an indoor wedding at The Observation Post was the perfect venue choice. The venue offers unparalleled views of the bay, Marin Headlands and Golden Gate Bridge. It also offers an outdoor lawn perfect for cocktail hour (right at sunset!) and an indoor space that is versatile enough to transform to almost any design style. Our job at CRE was to bring the outside in! By using lots of greenery, garden-style table settings, bistro lighting and luscious blooms by La Fleuriste the stage was set. The ceremony was held in an historic chapel and afterward the bridal party recreated a family tradition of the groom’s by walking from the ceremony to the reception site on foot – and got some great photos by Megan Reeves along the way. Afterward, guests arrived at The Observation Post for cocktail hour and were greeted specialty cocktails and decadent appetizers. Once guests moved inside for dinner, they were entertained by the amazing Pride and Joy who kept guests dancing all night long! My favorite moment of the day was during the ceremony when the officiant was reading through the declaration of consent items and Michaela preemptively declared, “I will!” The congregation erupted with laughter and the moment perfectly captured the love they have for each other and the overall atmosphere of the day – joyful, playful and ridiculously in love – they never lost sight of the most important aspects of their wedding day and we were thrilled to be able to share in it with them. I love the citrus with the rich blue! Love the color palette! So pretty. 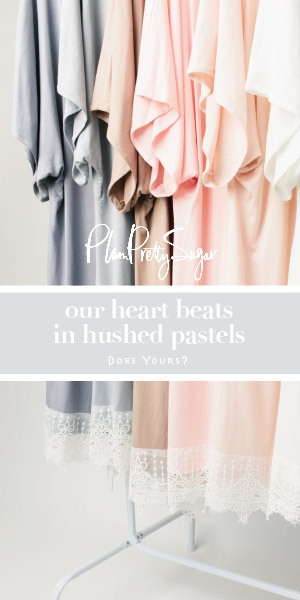 Gorgeous, gorgeous colors – and how much do I love that luxe, textured linen! love the colors and the table numbers! I can’t get over the retro designed invitations, the colors and layout work so well together!